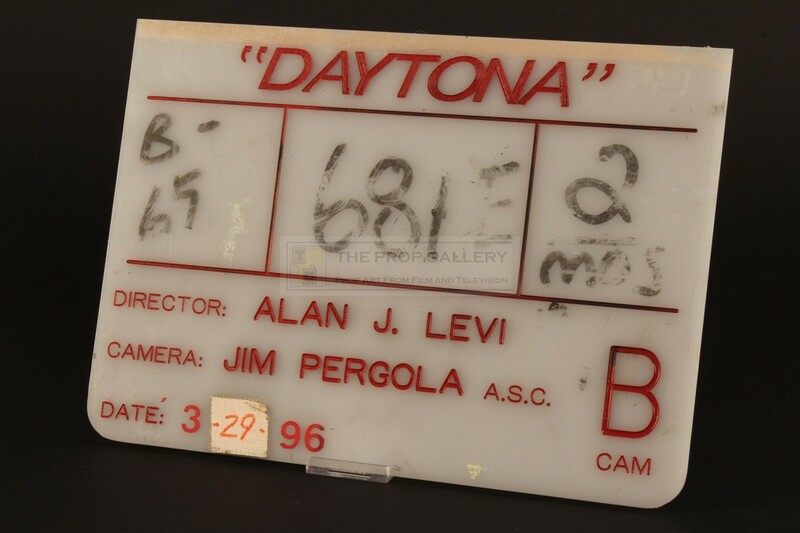 An original clapperboard used in the production of Daytona Beach, the 1996 movie directed by Alan J. Levi. 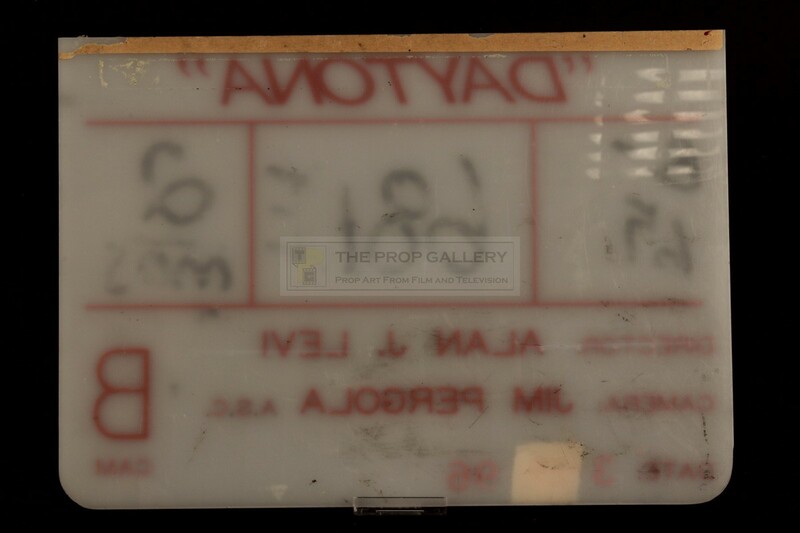 This production used clapperboard is constructed from semi translucent perspex etched with the title of the movie "DAYTONA" in red lettering, the original clap stick removed for reuse. 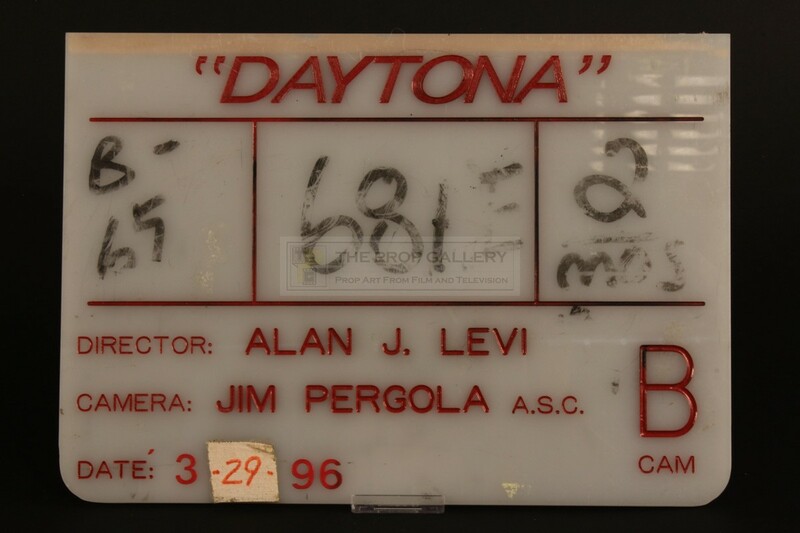 The B camera board features features spaces to record the roll, scene and take numbers with the names of director Alan J. Levi and director of photography Jim Pergola below and retains the date from it last used during the production to the bottom with the day hand inscribed on applied tape. The board measures approximately 11" x 8" and remains in good production used condition with some minor surface wear and retaining production markings, generally fine. 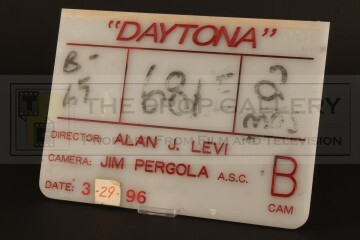 A rare and displayable example of original production material from the movie.